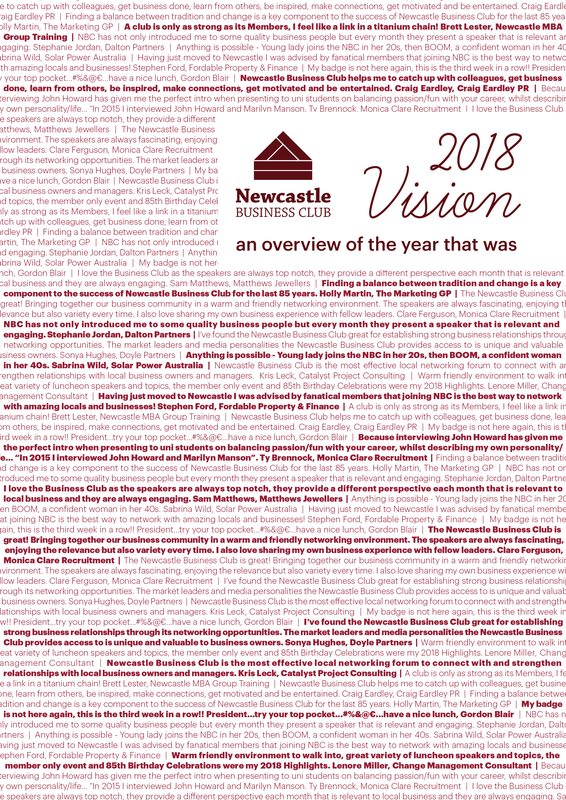 In the past, VISION magazine was a monthly publication of the Newcastle Business Club that was given to current members. In 2018, VISION took a new form; an annual magazine handed out at our December luncheon. See the 2018 VISION as well as past VISION magazine editions below.